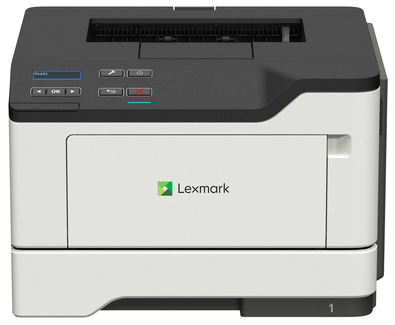 Strike the perfect balance of performance and affordability in small-workgroup mono printing with the up to 40-pages-per-minute* Lexmark MS421dw, featuring standard two-sided printing, enhanced security and standard Wi-Fi. Robust and reliable, Lexmark printers are built to work anywhere, from showroom to warehouse with few interventions. Keep going with long-life components and replacement cartridge yields of up to 20,000 pages**. Get mono printing at up to 40 pages per minute, plus standard two-sided printing, at an affordable price. Durability and long-life components keep your maintenance costs low, too. Some laser printers struggle to print grey text that’s easy to read - not the MS420 series. Its innovative font outlining technology makes even the smallest grey text crisp and clear.